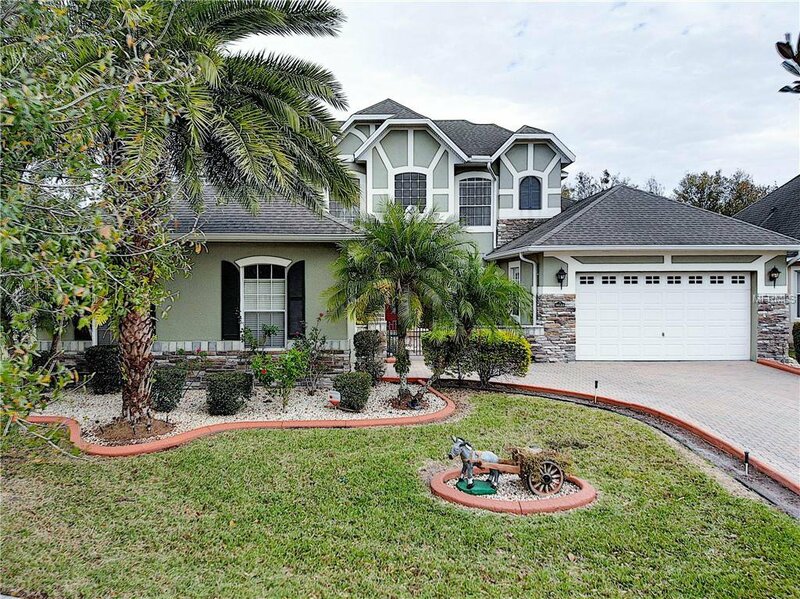 GORGEOUS 5 BEDROOM 3.5 BATH POOL HOME WITH SUMMER KITCHEN IN DESIRABLE BRISTOL ESTATES! The Lush Landscaping and Extended Brick Paved Driveway will greet you as you go through the elegant Gated Entry into this Beautiful Home. You’ll love the Soaring Ceilings as you walk through the French Doors into the Formal Living and Dining Rooms, and Crown Moulding throughout. You’ll notice the updated Staircase with Wood Steps. The Master Bedroom Suite is on the First Floor, and offers a generous Sitting Room that could be used as a living area or office, and the Master Bath features Dual Sinks with Vanity, a Luxorious Garden Tub and Separate Shower. There are Two Walk in Closets that boast Designer Shelves and Organizers too! Off the Master Bath, you’ll find another room perfect for an Office, Nursery or Exercise Room, and is currently used as the 5th Bedroom. The Gourmet Kitchen includes tall Cherry Cabinets, Corian Counters, Stainless Appliances and an Island Cooktop. On the Second Story, you’ll find 3 more generous sized Bedrooms - 1 doubles as a Second Master with its own Bath, and the other 2 share a Jack and Jill Bath between them. The Loft offers more Living Space for a Den, Office, or Media Room. The Screened Pool and Lanai are Oversized with Brick Pavers and a wonderful Summer Kitchen that’s Perfect for Entertaining friends and family throughout the year! Don’t Miss this Opportunity to see this Executive Home in a Gated Community with Great Schools, Nearby Shopping and convenient to all Major Highways! Listing courtesy of REALTY BY DESIGN. Selling Office: GO REALTY LLC.